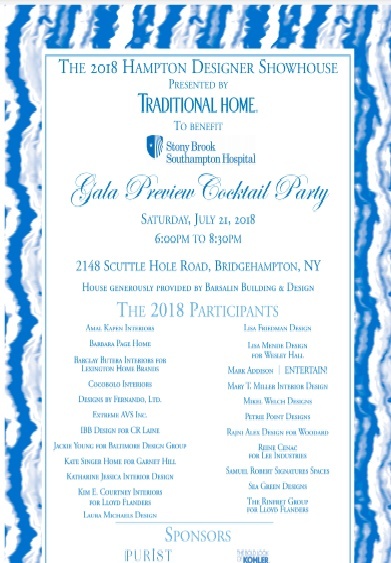 2018 Hampton Designer Showhouse Gala Preview Gala Cocktail Party Presented by Traditional Home to benefit Southampton Hospital @ Bridgehampton. 6:00 pm- 8:30 pm. Tickets begin at $225 per person. Proceeds to benefit Stonybrook Southampton Hospital.